Patrik is an expert on sustainability management and supports private businesses on their way towards a more sustainable future. In order to implement sustainability strategies successfully, he focuses on relevant factors of organisational change and the collaboration with various stakeholders. Further focus areas are digitalisation, sustainability portfolio analysis, sustainable consumption (especially in the food sector) and employee engagement processes. Patrik joined the CSCP in 2014. He has managed several projects in the private sector (food, retailers, textiles, chemicals) and leads the CSCP’s involvement in the European Horizon 2020 project Refresh concerning the reduction of food waste. In all projects, he always has a look at the positive sustainability aspects of products (handprint features) and takes into account all value chain stages. 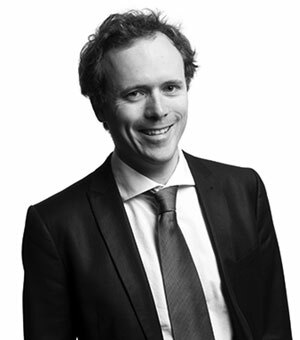 Before joining the CSCP, Patrik worked as a research assistant on sustainability management topics at the EBS (European Business School) and as a consultant at a large consumer goods company. During and after his studies, he worked for the IÖW (Institute for Ecological Economy Research), the ZEW (Centre for European Economic Research), IFOK and Decco Internacional in Sevilla. Patrik studied Political Science, Economy and History (M.A.) at the University of Heidelberg and at Sciences Po in Paris. In addition to this, he is a certified mediator and did a one-year training on systemic consulting, organizational change and coaching at the ISB (Institut für Systemische Beratung in Wiesloch). Patrik is a German national.